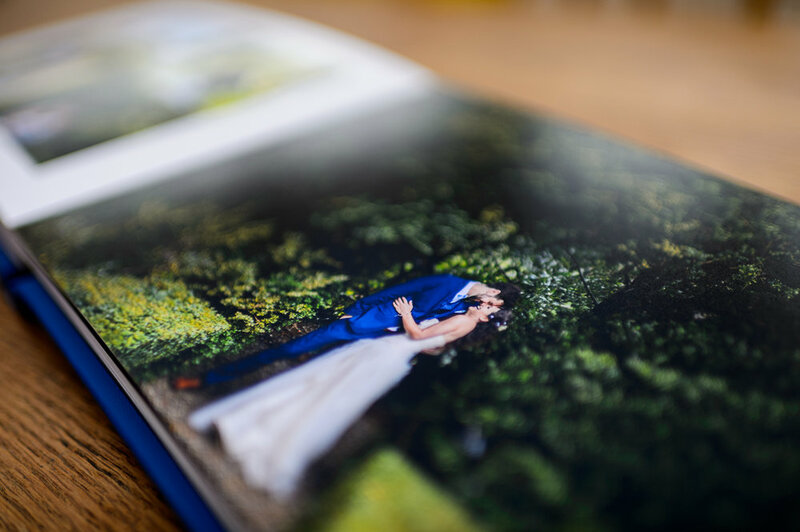 These beautifully hand crafted wedding albums are designed to lay completely flat. 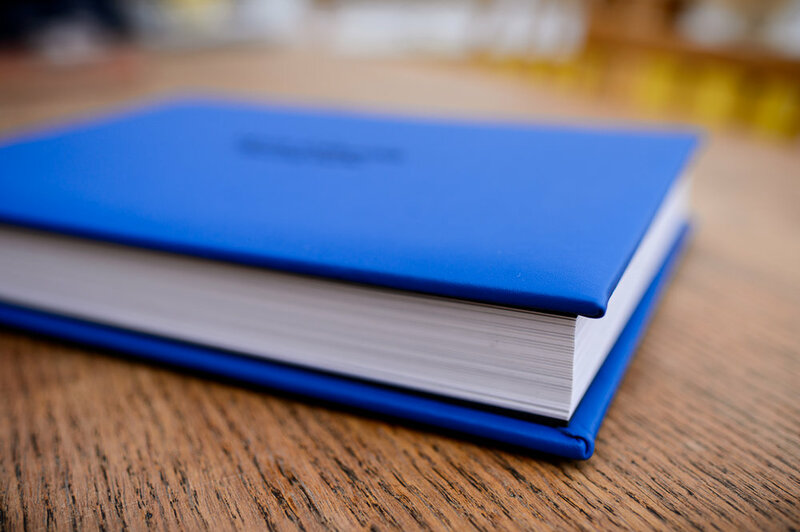 The use of each full spread without losing any image on the spine allows us to create contemporary designs and tell the story of your day. We try to balance the amount of images, layout and style to truly show off your images. The process is a combination of my design experience and eye with your input through a proof system. We end up with an album that you will treasure for a long time. 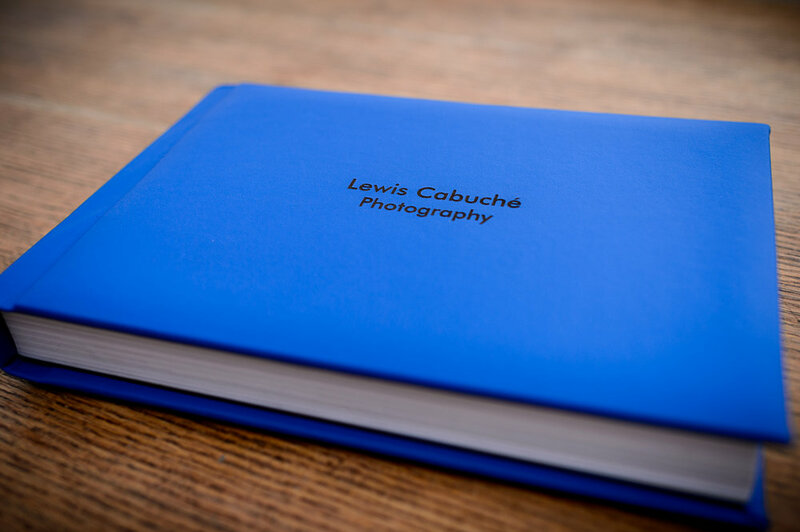 The albums come with 60 pages (30 full spreads) and a stunning genuine leather cover etched with your names and date. A range of colours are available as well as a linen cover option. Extra pages can be added as well as the option to surprise your parents with mini versions.